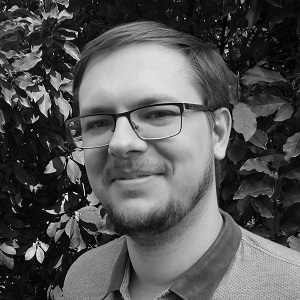 Mateusz Nowak is a software engineer, mostly focused on low-level stuff: Firmware, drivers, etc., but also on training other people on technical and soft skills topics. Holding Master degrees in Computer Science and Managements. Interested in C++, motivation, and team work organization. In this talk, I will try to cover the topic of memory alignment in C++. I will discuss why it is sometimes necessary to care about alignment and how the memory is aligned by default. I will go through different methods of ensuring alignment, that apply to pre-C++11, C++11, and C++17, presenting and describing code examples. What is alignment and why one may need to care about it. Pre C++11 and compiler specific attributes and functions (very short overview). aligned_alloc (and its predecessors) and custom aligned allocators. std::align_val_t and new with custom alignment.